Fredo Rosenstein has to get his! This putz was intimidated by Mueller when his boyfriend got fired. Mueller slither out of town. RR determining no obstruction will burn their asses ! Did someone kill someone’s puppy on CNN? Let the investigation into the investigation begin! What about the nevertrump republicans and their running dogs in the House and Senate and the Chamber of Commerce. We are fighting a two front war and the most useless of our enemies are in our own trenches. Doesn't change a lefty's mind.. Still haven’t discovered the truth eh? Rosenstein’s role was played to perfection, just as President Trump asked him to do. You didn’t miss that he assisted AG Barr in determining there was no obstruction either, did you? The whole mythology about Rosenstein is as fake as Russian collusion. After what weve witnessed since November 9, 2016 I think its time to nuke the bastards. You aren’t watching basketball. The spin is that the report does not clear Trump because......Hillary was supposed to WIN!! 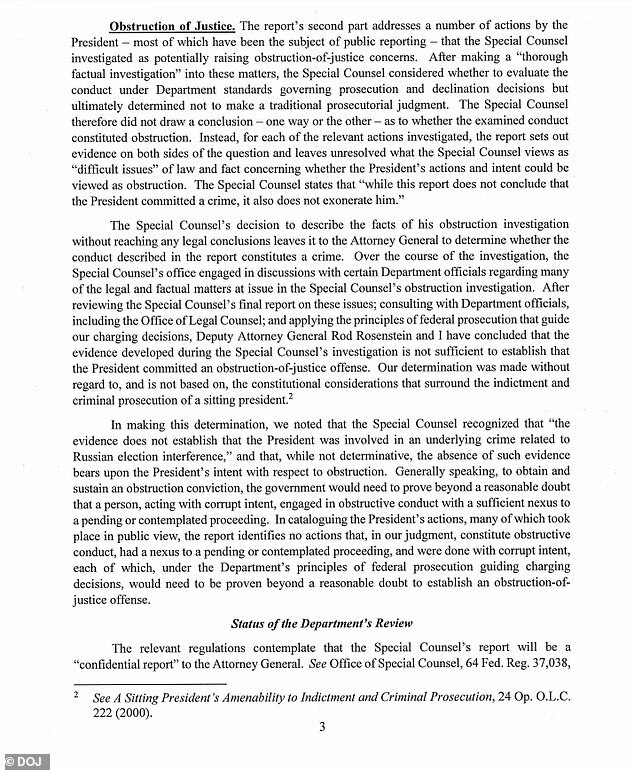 Plan B for the Rats: “The special counsel did not draw a conclusion ‘one way or the other’ as to whether the president obstructed justice” The rats will find obstruction even if they have to pull it out of Schiff’s or Swawell’s azz. I'm watching Wolf and some reporterette interviewing Guilliani, and they are desperate to figure out if there's any way Trump can still be impeached. Guilliani's laughing at them - "you want them to impeach him in the face of no evidence for the crime of obstructing justice where's there's on underlying crime to obstruct the prosecution of justice for?" Is Rachel Maddow on suicide watch yet? this sham was all designed to slow down and stop the MAGA agenda (e.g. the WALL) - and it succeeded. I’ve been flipping back and forth with the basketball - CNN is just too amusing though. They are still hoping for obstruction impeachment - asinine, I hope they do it.